Opposites attract and sparks fly in the delightful small town of Christmas Creek. Holly Jolly lives for Christmas. It's the only time of the year, as far as she's concerned. Gordon Gills doesn't need a reason to hate the holiday season. He doesn't see the point. Gordon returns to the mansion he inherited and finds Holly making a mess with her Christmas decorations. Unfortunately, his great-aunt's will stipulates that he must make merry every Christmas if he wants to keep his inheritance. Single mother Kelly Kennedy can't afford lavish gifts for her four-year-old daughter, Bree. Homeless veteran Tyler Manning doesn't believe he deserves a Merry Christmas. When Bree asks Santa for a father and picks Tyler, both Tyler and Kelly vow to keep Bree from being hurt while fighting their feelings for each other. Tyler struggles with frightening flashbacks that scare Kelly. Meanwhile, Kelly's criminal past threatens her chance for happiness. Melisa Hart has a soft spot for her brother Connor's ex-best buddy, Rob Reed. Unfortunately, Rob slept with Connor's girlfriend and is no longer welcome with any of the Harts. Melisa lends her pet lovebird for a Christmas Toy Drive, but a mix-up brings her face to face with Rob and his lovebird. Melisa is drawn into a whirlwind romance with Rob and discovers he hasn't told her the entire story. 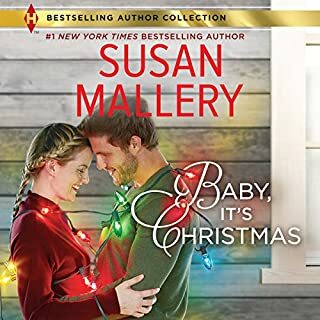 Can two little lovebirds and Christmas cheer open Melisa's heart to giving Rob another chance? 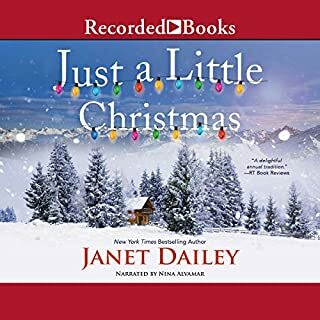 Juliette Martin does not ever want to celebrate Christmas again, not when it means reliving the last one after her six-year-old son, Jeremiah, passed away on Christmas Eve. She and husband, Gabe, find themselves snowed in at a mountain cabin with a pair of strays. Juliette desperately needs a miracle to save her marriage and restore her faith in God. Can a stray dog and an orphan boy help her believe in the magic of Christmas and the power of love? Another heartwarming and inspirational story from Rachelle Ayala! Rachelle Ayala never ceases to amaze me with the tough subject matter she takes on in her writing. In this book she pairs the heroine, a disabled woman with cerebral palsy, and an ex-con that everyone is against, and she does it brilliantly. The story is sweet, romantic, heartwarming, inspiring. Kate Marvin did an excellent job with the narration. I think this is the first time I’ve heard her narration and, I thought her performance was amazing. I received a review copy at my request and voluntarily reviewed. I’m well aquatinted with Rachelle Ayala’s writing. She writes unique stories and this one was outstanding. I don’t think I’ve read any books where the heroine has special needs. Bella has cerebral palsy but she is independent, she works, and wants to do as much as she can by herself. It is an inspirational story. Narration is excellent and brought the story to life. I really enjoyed the characters specially Mr Klutz! I’m an animal lover and absolutely love cats. The story also had some serious areas about abuse, resentment, and forgiveness. As in the previous book, it also has a touch of magic. The story is fairly clean with heated moments but no specific details. The books wraps up nicely with a HEA conclusion for everyone including Mr. Klutz! 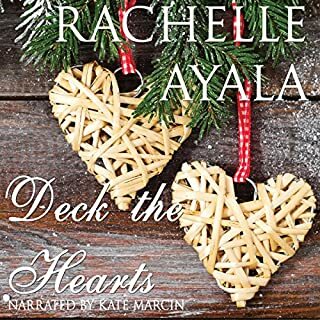 Her Christmas Chance by Rachelle Ayala was a great read. Bella has always lived her life behind her twin sister. She was born with cerebral palsy but lives life through her sister. Bella has her first love interest in her brother in laws brother. I loved reading Bella and Chance’s story. I really liked this story of Bella, who struggles with having a "normal" life despite having cerebral palsy, finding love with Chance, an ex-con with trust issues. I'll admit there were several times that I was angry with Bella for doubting Chance's motives; but overall, I found this to be a very sweet romance. Chance was a wonderful hero, in my opinion, and I never blamed him for any of the events that angered him. That cat would have driven me to violence, I'm afraid, and Chance's mother was the worst parent she could possibly be. The small paranormal element and the epilogue were possibly a little over the top, but I enjoyed them. The narration was excellent and really made me enjoy the story even more than I would have by reading it myself. I found this audiobook to be a good mental escape from my daily commute. Rachelle Ayala is quickly becoming one of my favorite authors. This story is heartwarming and touches upon some difficult issues. This story holds a special place in my heart because of the main character having cerebral palsy. My sister also has cerebral palsy and reminded me a lot of Bella. I loved this story and I can't wait for more from this author! I have fallen in love with Rachelle Ayala's books!! They are heartwarming and I can not wait to get my hands on more of them!! I was given this free review copy audio book at my request and have voluntarily left this review. The fact that I was gifted this book had no influence over my opinion of it. Her Christmas Chance is the second book in the Christmas Creek Romance series. Bella has always hidden behind her computer. She used Tally's adventures as a cover for who she was. During the preparation for Tally's wedding, she was paired up with Chance, Lucky's half-brother. Bella has developed feelings for Chance but doesn't think she has anything to offer. Chance has a blemished past and feels that's all anyone sees. But after his brother's wedding, he can't seem to get Bella off his mind. Enter the cat. Mr. Klutz either really likes Chance or really dislikes Chance! But he has a way of bringing people together. Mr. Klutz is once again terrorizing Chance's wood shop. Chance is determined to put a stop to it so he confronts Bella. But how is it that they spent a magical time at her sister's wedding, and now they have come to this? More or less strangers conflicted over a cat. Bella really likes Chance, but she is afraid. Chance doesn't think he deserves Bella. The turmoil these two go through is both crazy and sometimes funny. I was rooting for them the whole time. I loved their story, and the way Chance truly cared about Bella, how he saw her for who she is inside, not what is on the outside. That is something any girl dreams of. Will they be able to see past their own insecurities and let the other love them? I really enjoyed this story, the narrator, everything! I definitely recommend this book. Ayala never veers away from tough subject matters. I'm not sure how many Rachelle Ayala books I've listened to, but she never ceases to surprise me by the things she is willing to take on in her writing. In this book, the main character has cerebral palsy. Ayala is straightforward in handling the difficulties of the condition and just tosses it all out there for the reader--drooling, having to use a sippy cup as an adult or living without being able to use the stove to cook. Bella faces all those things, but is determined to live her own life. The hero of the story, Chance, has faced his own struggles in life and feels as though no one will ever accept him due to his past. The beauty of the two characters together is that they can see through the crud everyone else sees and give the other the love and acceptance they so badly crave. Once again, Ayala gives way more than your average Christmas story. I lift my glass to her for dealing with the hard subjects with such sensitivity as well as realism! What a beautiful romance for these characters! I loved how the author brought together 2 people who had many odds against them. Chance felt unlovable with his prison history and Bella had cerebral palsy. Both felt less than perfect and undeserving of true happiness. Their journey to love was not easy, which made the story perfect. I thought the narrator did a wonderful job with the various characters and distinguishable voices. I requested this review copy audiobook and have voluntarily written this review. This book is part of a series and a standalone listen. I will most definitely listen to more books by this author and narrator. Love, hope, and forgiveness are the main themes I took away from this story. I received this audio book free in exchange for a review at my request. Narration was good, I truly enjoyed listening. The story was well written, it had it all. There was love, family drama, secrets everything to keep you wanting more. Faith, trust, and a little... magic! Bella and Chance's relationship is very interesting. They meet when their siblings get married. Bella has cerebral palsy. While that has its limitations, she is big on maintaining her independence. Her strength and sparkle are what initially attract Chance. Chance is an ex-felon. He has been out of prison for a few years and works with one of his stepfathers to restore furniture. Coincidentally the workshop is adjacent to Bella's home. And her outdoor cat enjoys getting into the workshop and wreaking havoc. This story is about self-awareness and forgiveness. It is also about trust, faith and unconditional love. Rachelle Ayala's Christian faith influences the development of the story greatly. As always she creates challenging and complex characters with interesting stories. As for Christmas Creek, there may just be a little magic there. Will there be romance at Christmas? 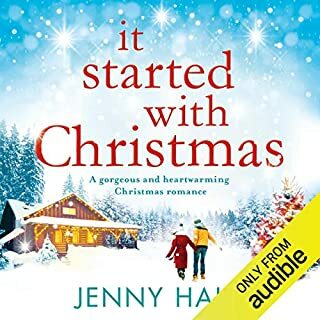 I rarely read Christmas books in the run-up to Christmas, so this year I thought I would give it a go and see if it made me feel any more festive. 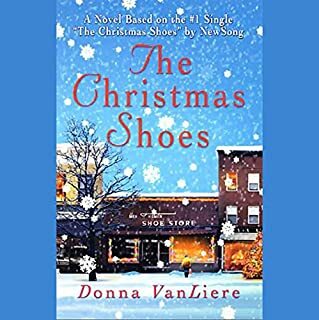 Her Christmas Chance was set at the right time of the year but I wasn't particularly aware of the season, other than the mention of a Christmas tree. The story was more about the relationship between Bella, who has cerebral palsy, and Chance, an ex-con. Bella has been protected by her family for many years and longs to become more independent. She has moved into a cottage next-door to her newly married sister, Tally, and had met Chance, the brother of Tally's new husband, at the wedding. Chance has a murky past and since leaving jail, has concentrated on his woodwork skills; repairing damaged antiques. There is an attraction between Bella and Chance, but Bella's huge ginger tom cat has a habit of getting into Chance's workshop and destroying his painstaking work. What with Chance's history, Bella's disabilities and a destructive cat, any relationship seems doomed from the start. 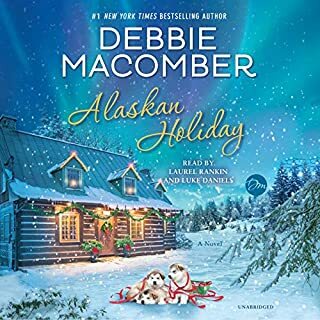 Despite its problems, the friendship between Bella and Chance proceeds in a fairly predictable, but enjoyable fashion and I was enjoying the audiobook. What really threw me with this novel was the episode, towards the end, where Chance and Bella seem to end up in some alternative time. There was no evidence earlier that this was in any way a paranormal novel, so this sudden time-slip seemed completely out of place. In fact the ending, per se, seemed rather awkward and contrived, and for me, dropped a star rating from an otherwise, pretty good read. The narrator, Kate Marcin, did an excellent job of the challenge thrown up by Bella's speech defect, without rendering her impossible to understand. 5* for the narration, 3.5 stars overall.